Application for all Visa services should be completed online. Applicants must complete one application per person to receive a Unique Confirmation Number..
After completion, please download, print and sign the application before mailing it to the Embassy of The Republic of Kenya, Washington, D.C. Applications which are not filled online will be returned unprocessed. After reading the Requirements below, please follow the “Continue with Online Application” link to complete the online application form. Any incomplete application will be returned..
A valid, signed US passport. The passport must have at least 6 months remaining after the completion of your stay in Kenya, and contain at least one blank visa page. 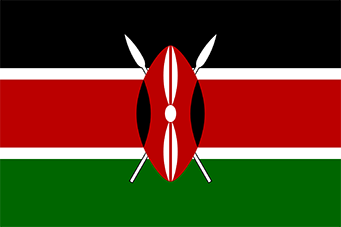 In June 2009 the Kenyan Embassy introduced an online based visa application. This replaces the earlier hand written applications. Diplomatic, Official, Service and Courtesy visas will continue to be issued Gratis .